Chest congestion is the tightness or heaviness you experience in your chest caused by an infection. These infections can be a result of a number of conditions that range from moderate to severe and include, but are not limited to, the following: the common cold, flu, bronchitis, pneumonia, tuberculosis, and congestive heart failure. Although chest congestion can usually be treated at home, the infection that causes it may require the care of a medical professional. There are several remedies you can try at home to soothe your congestion and break up or dissolve mucus. Gargle warm water, 1-2 tablespoons of salt, and a pinch of turmeric. Take a hot shower and breathe in the warm steam. Keep your head elevated above your torso when resting or sleeping. Place hot pack or hot towel on your throat and chest. Use a humidifier when sleeping or resting. Stay hydrated with water, hot tea, or sports drinks. Take medicine specifically for chest congestion and avoid suppressants. If your chest congestion hasn’t cleared up even after treating it, seek medical attention as soon as possible, as this may be the result of a much larger underlying issue. Visit your nearest FastMed Urgent Care to find the true cause of your chest congestion today. 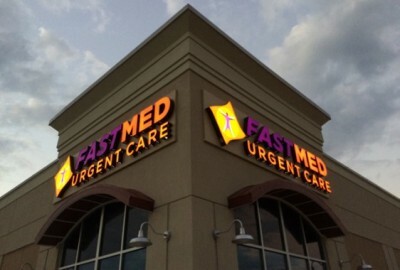 To find out more about how FastMed is helping in your community, like us on Facebook and follow us on Twitter.